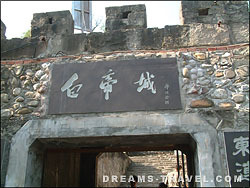 Baidicheng or Baidi Temple has a quite good position for a villa anyway, it is located at the north bank of Yangtze and the entrance of Qutang Gorge as well as the starting point of Three Gorges, 8 kilometers from Fengjie county. 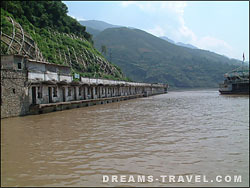 At the pier, the building has sunk into water, many fishers sell the fried Yangtze fishes at a reasonable price, sedan chair is available from the pier to Baidicheng portal with two chair men, it costs about RMB40 for up-carrying. 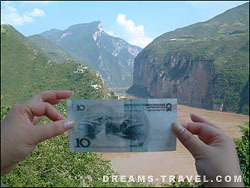 En route, tourists will see a 175-meter water level of Three Gorges Project. 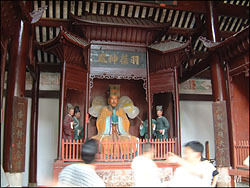 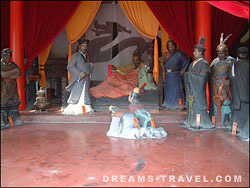 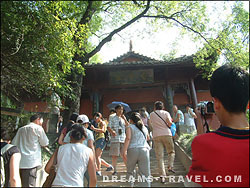 Baidicheng is a small temple just like memorial of Three Kingdom period, and ruins of local culture. 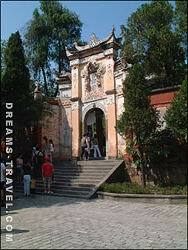 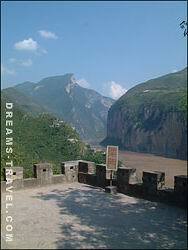 Yes, it has a good scenery surrounded by and the spectacular view of Kuimen - the starting point of Three Gorges.